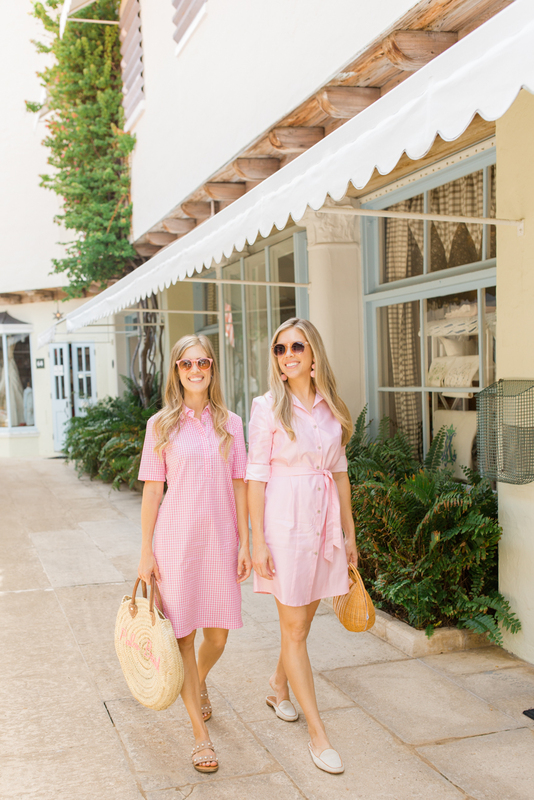 We are so excited to share our “Guide to Palm Beach” with you! 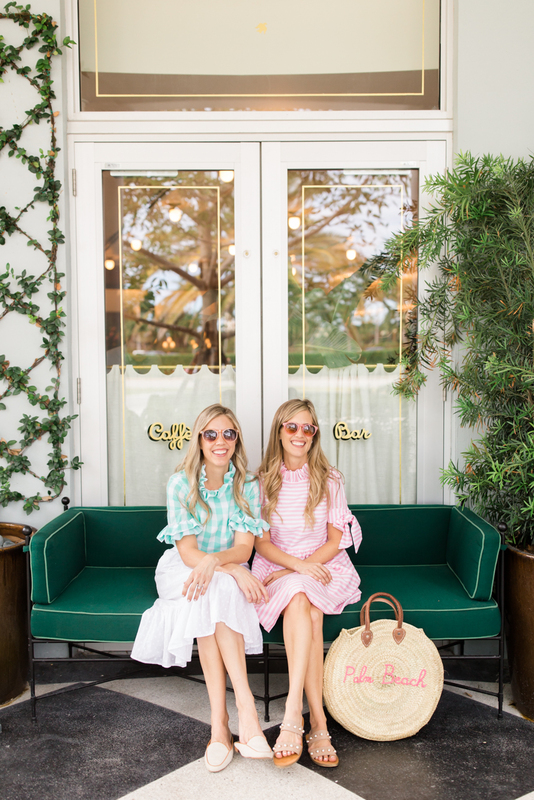 We are two sisters who have been enjoying Palm Beach since we were kids and blogging about it since 2012, so we have lots of tips and suggestions for you. We hope to inspire both travelers and locals to experience the best of our favorite island, whether it be for the day, weekend or season! 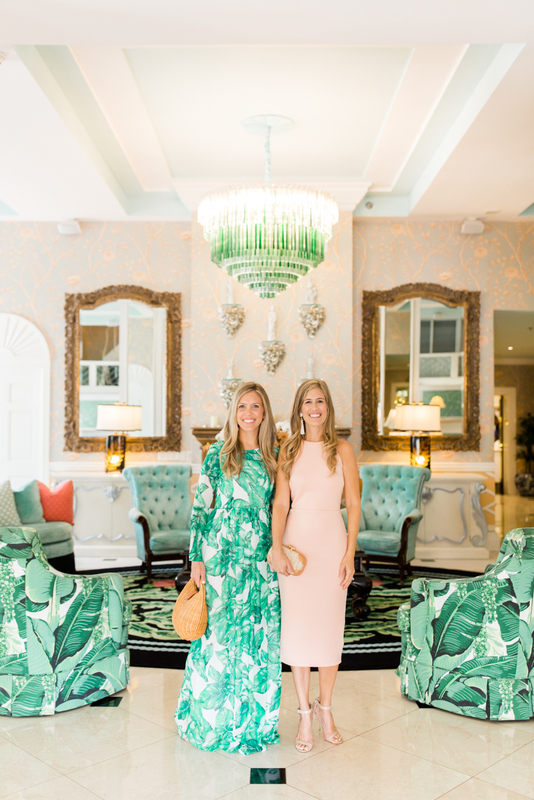 The Breakers – For an elegant Palm Beach experience, we love The Breakers! It is known for its “unapologetic luxury, seaside glamour and world-class service,” and we couldn’t agree more. 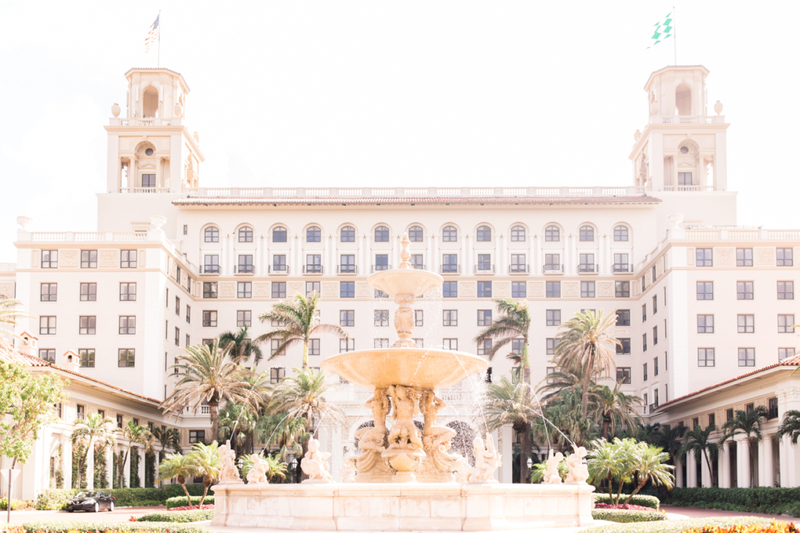 Henry M. Flagler was the visionary behind making The Breakers a luxurious vacation destination dating back to the 1890’s, and the grandiose atmosphere is still going strong here today. We like to have staycations and celebrations here as much as possible! 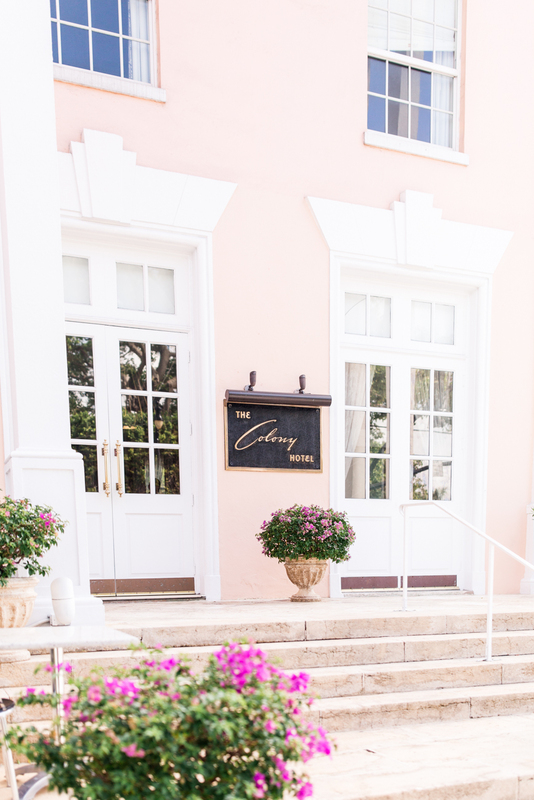 The Colony – For a charming Palm Beach experience, we love The Colony! Located just steps from Worth Avenue and the beach, The Colony is known for its uniquely colorful personality and boutique hotel experience. 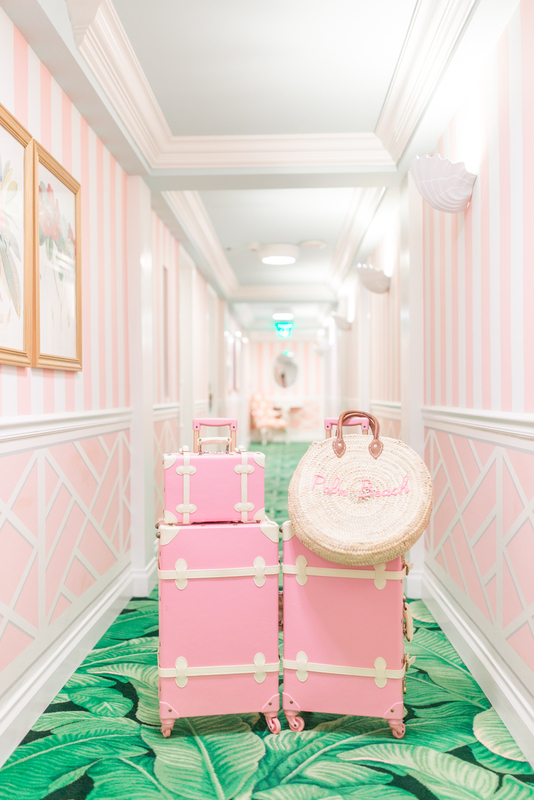 The pink-hued hotel has been a Palm Beach landmark since 1947 and has hosted everyone from U.S. presidents to European royalty and winter season snowbirds. It also made a great spot for Beth’s Baby Shower, too! 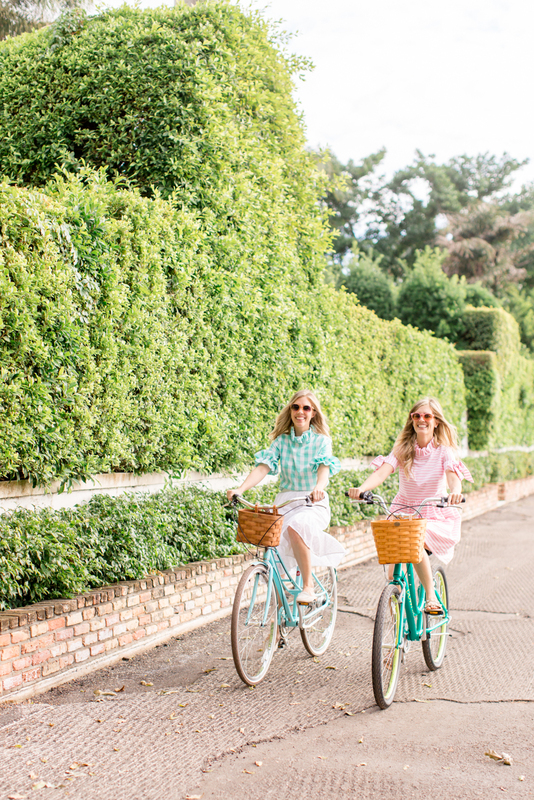 From dining and shopping to bike riding and beaches, there are so many wonderful things for couples, friends and families to do in Palm Beach. We have included a three day, two night itinerary below to help you get started! Click here to download a printable itinerary. Late morning – If you arrive before check-in time, have the hotel hold your bags so you can start exploring. First, take a peek at your hotel’s amenities, and once you have worked up an appetite, we have the perfect lunch spot for you! 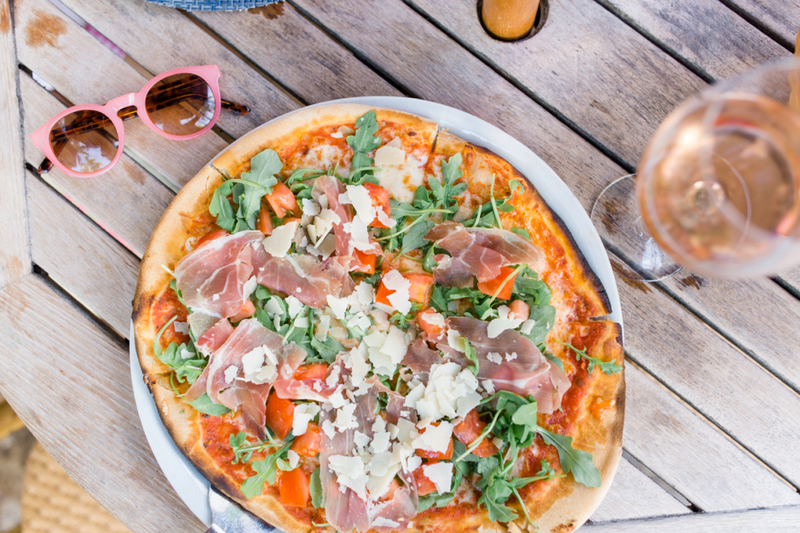 Pizza Al Fresco – For a casual lunch in a classic Palm Beach setting, we love dining at Pizza Al Fresco. 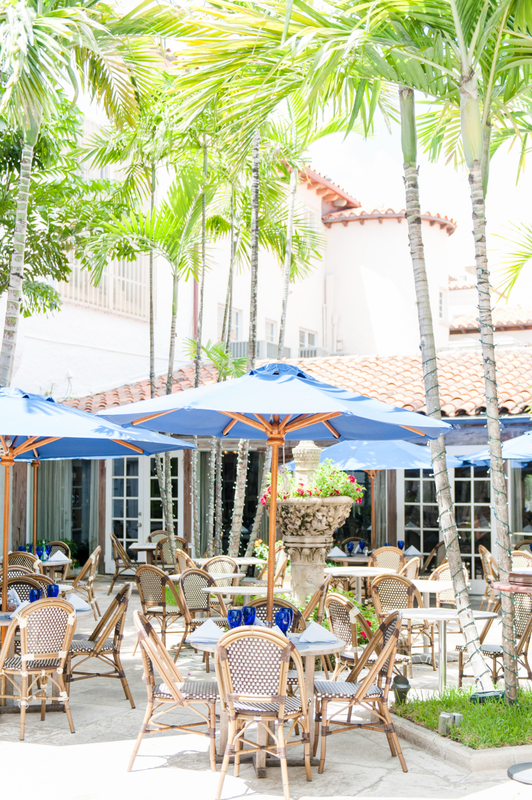 They have indoor seating, but the shaded courtyard is our favorite with crisp blue umbrellas and rattan bistro chairs. The staff is very friendly and fast, too! 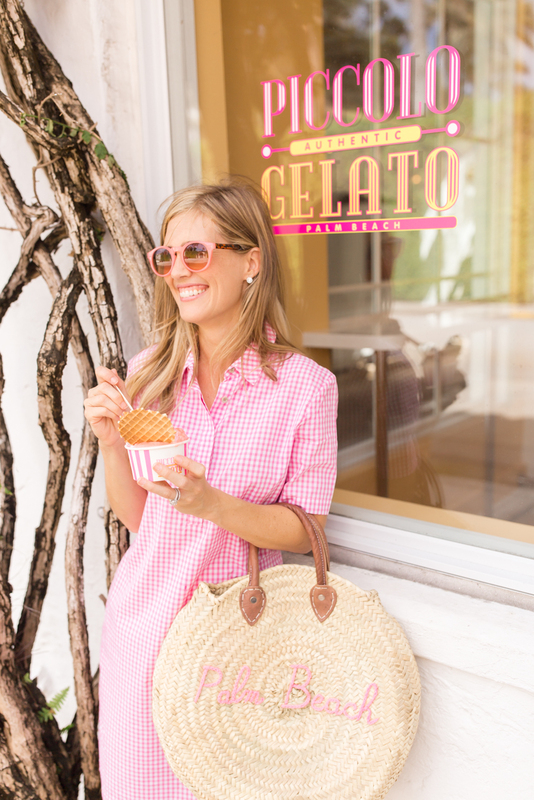 Piccolo Gelato – After lunch, enjoy a sweet treat around the corner at the island’s new shop for homemade gelato, sorbetto, gelato pops, bon bons and special order gelato cakes, Piccolo Gelato! 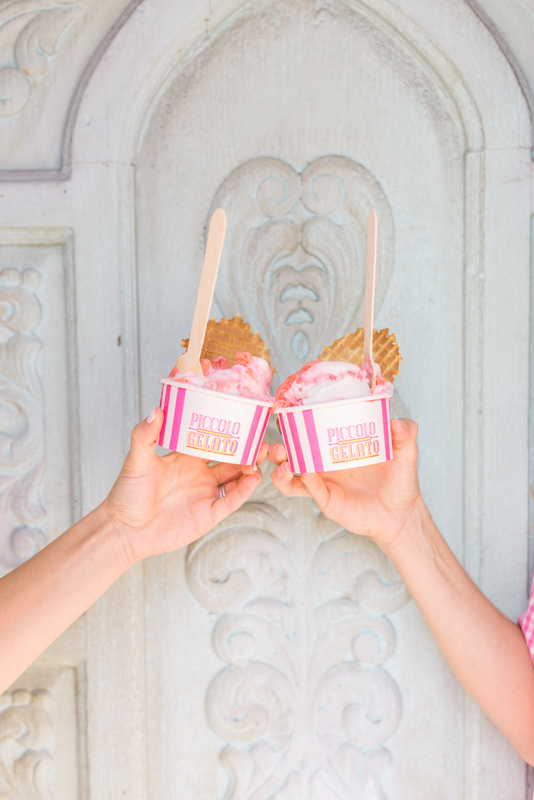 Tip: Snap a pic in front of the cute mint doors right across the street! 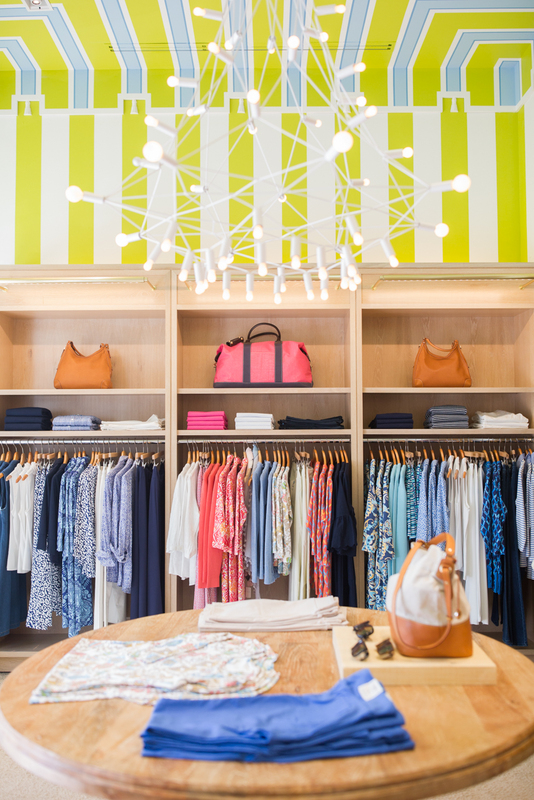 Now is a great time to check out a few of the shops on or near Worth Avenue! We have included our favorite ones below, and you can also view a map of Worth Ave here and a full directory of shops, restaurants, etc here. 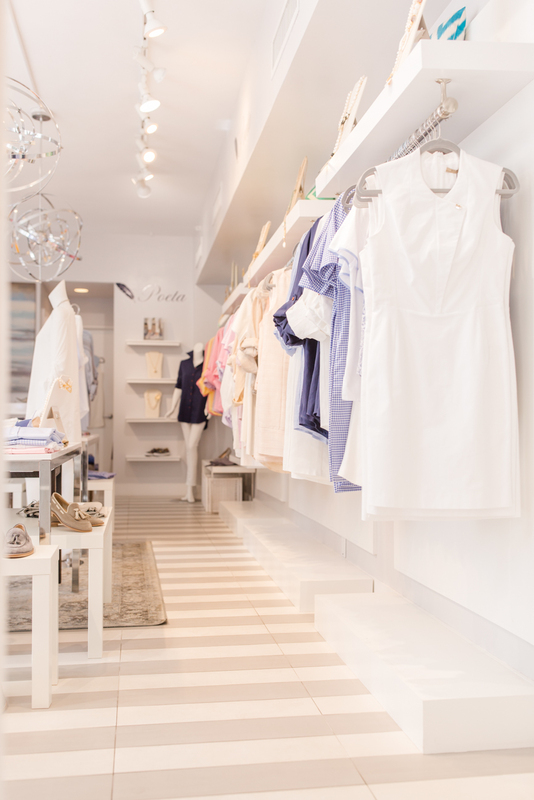 Poeta – Located in Via Mizner, Poeta is a chic new boutique filled with breezy dresses, button-down blouses and women’s shoes. The owners, a sweet husband and wife duo, collaborate on their own Jackie-O-like designs that perfectly capture the Palm Beach lifestyle! 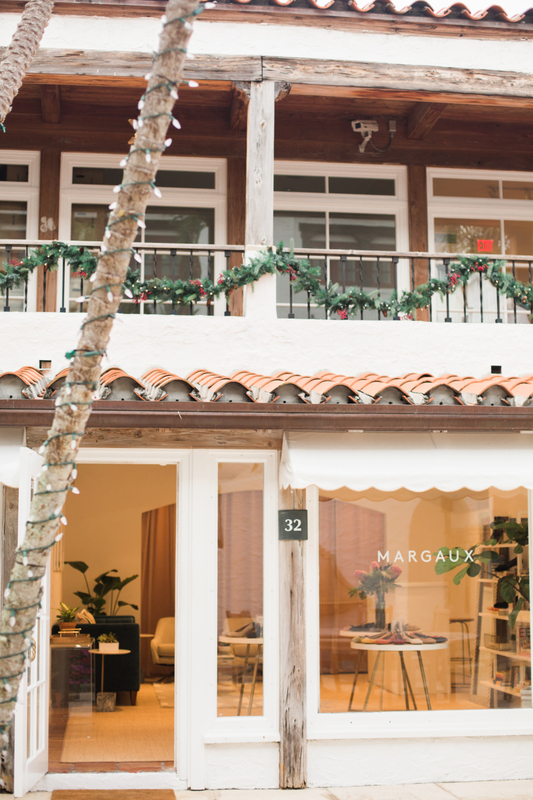 Margaux – While you are in Via Mizner, you have to check out the chic shoe shop, Margaux. 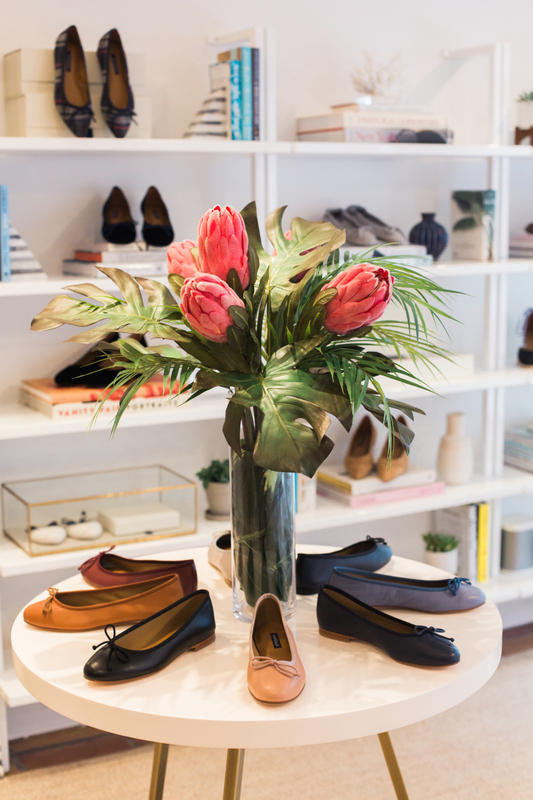 The brand was founded in 2015 by two gals on a mission to create modern versions of classic women’s shoes in luxurious materials and quality craftsmanship at an accessible price. You can shop their ready-made shoes or even get fit for a custom pair! 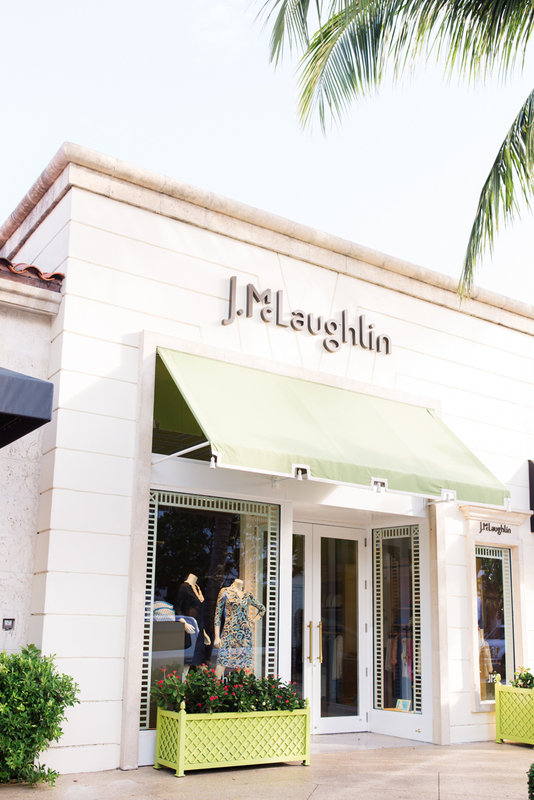 J.McLaughlin – Two brothers founded J.McLaughlin’s first store forty years ago on the Upper East Side, and it has since grown into 100 stores across the U.S. 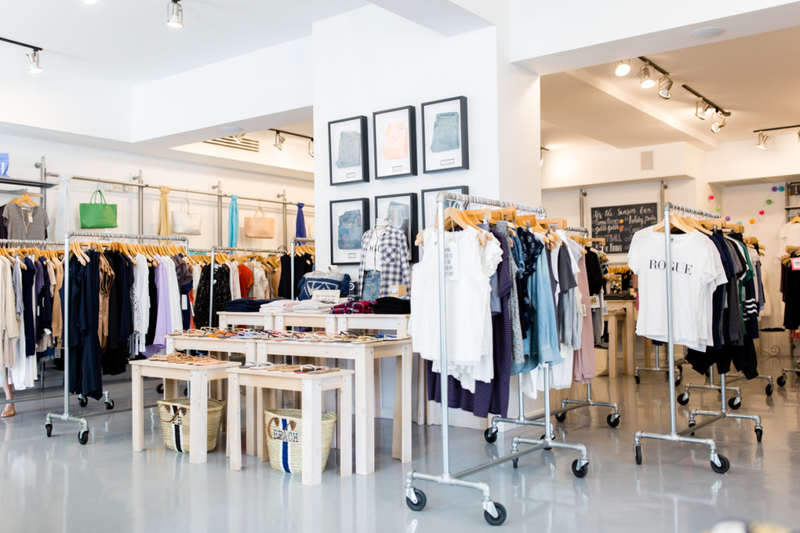 This classic-meets-current women’s and men’s clothing and accessories shop is one of our faves on Worth Ave! 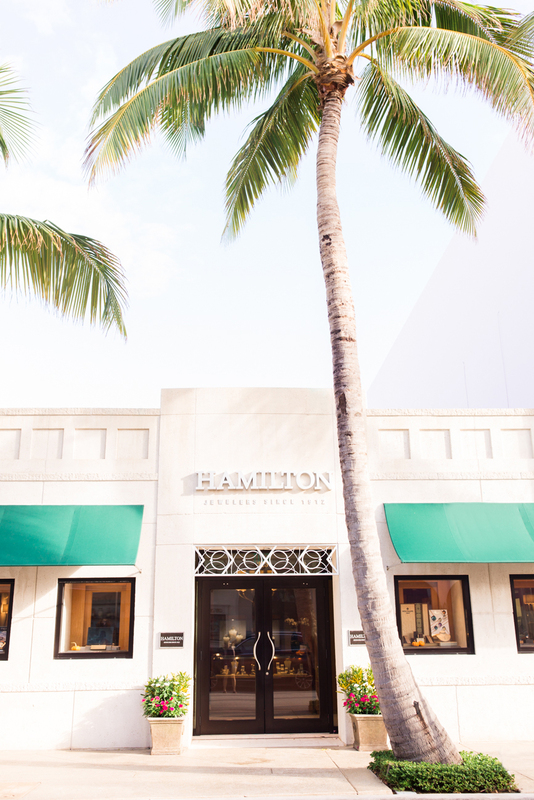 Hamilton Jewelers – Family owned and operated for more than 100 years, Hamilton Jewelers has been a staple jeweler on Worth Avenue for more than 30 years. 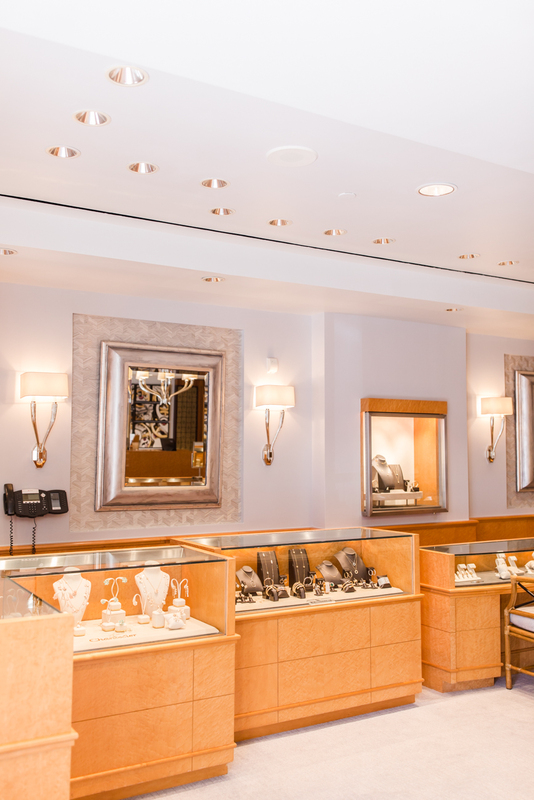 We love to pop in and swoon over their stunning engagement rings, fine gifts and luxury watches! 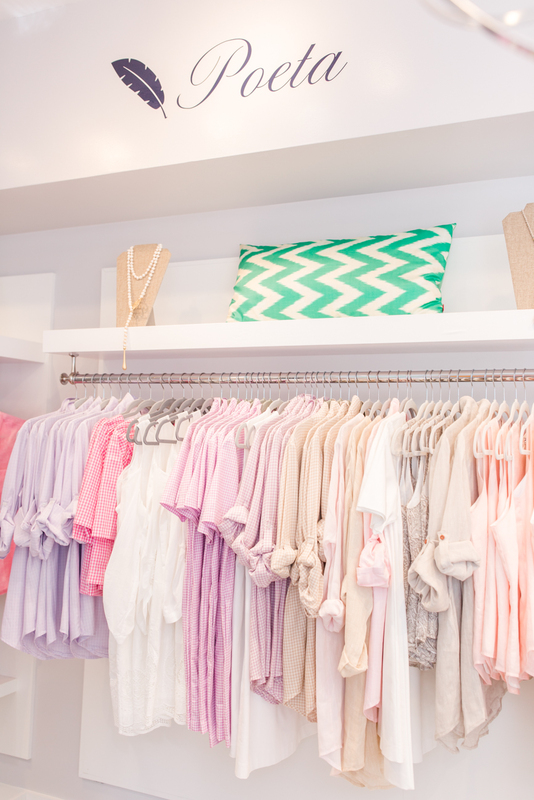 Rapunzel’s Closet – Located just a few blocks from Worth Avenue on South County Road, Rapunzel’s Closet is an island favorite for the latest fashions, accessories and gifts for women, tweens and kids. Their central location makes it easy to pop in for sandals, jeans, dresses, jewelry, and gifts! Tip: Don’t miss Lil Rapunzel’s, their super cool kids’ store, located on Royal Poinciana Way! 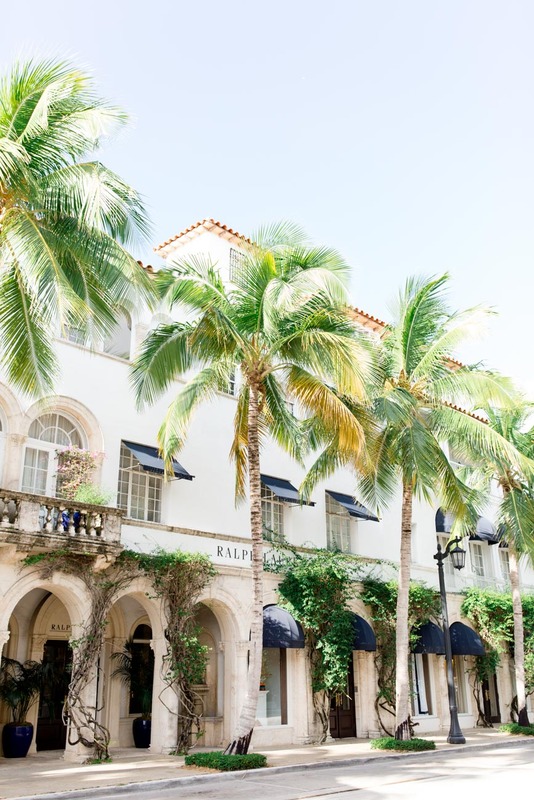 If you have more time to shop, we also suggest these stores on or near Worth Avenue: Aerin Lauder’s new store AERIN, CJ Laing, Island Company, Jennifer Miller Jewelry, Stubbs and Wootton, Vineyard Vines, C. Orrico, Lindroth Design, and Lilly Pulitzer at The Breakers. After shopping, you’ll want to head back to your hotel room to drop off your goodies, rest for a bit and freshen up for dinner and drinks on the town! 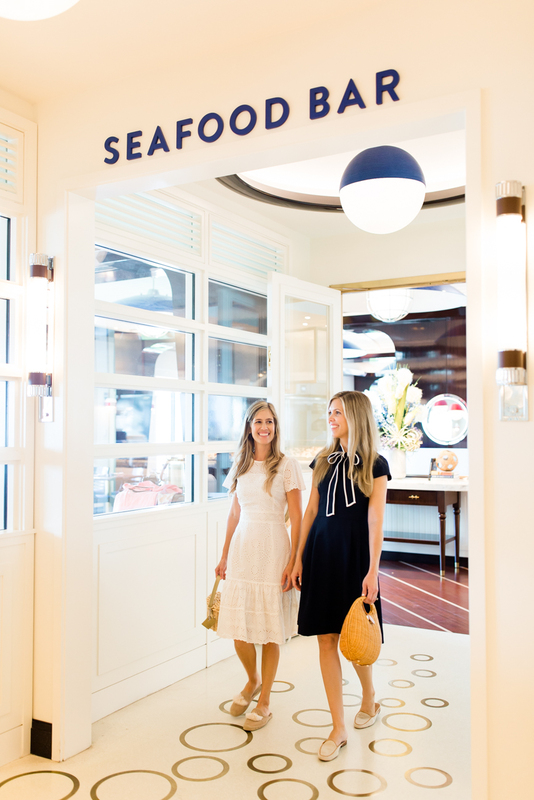 Seafood Bar – For dinner, we recommend dining at the newly remodeled Seafood Bar at The Breakers. 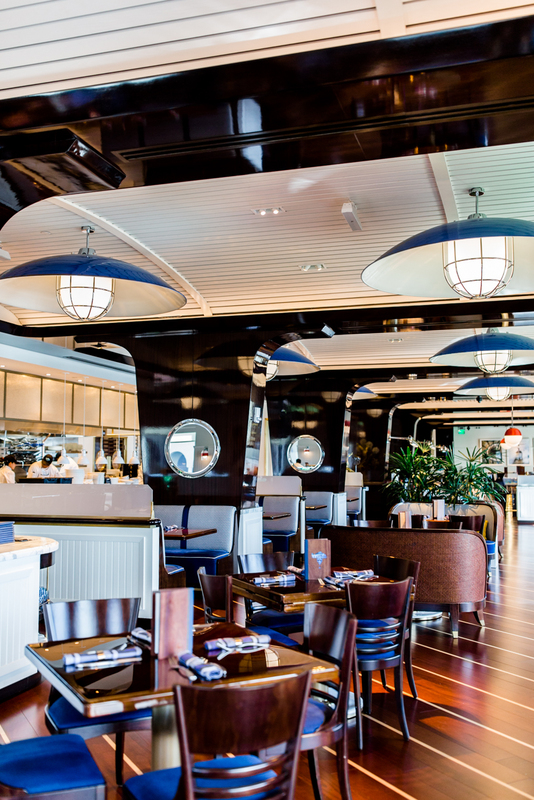 It overlooks the ocean and offers fresh seafood, a thorough list of wine by the glass, and impeccable nautical design, complete with new aquariums. Tip: After dinner, we like to stroll over to HMF for one of their cocktails and people watching! 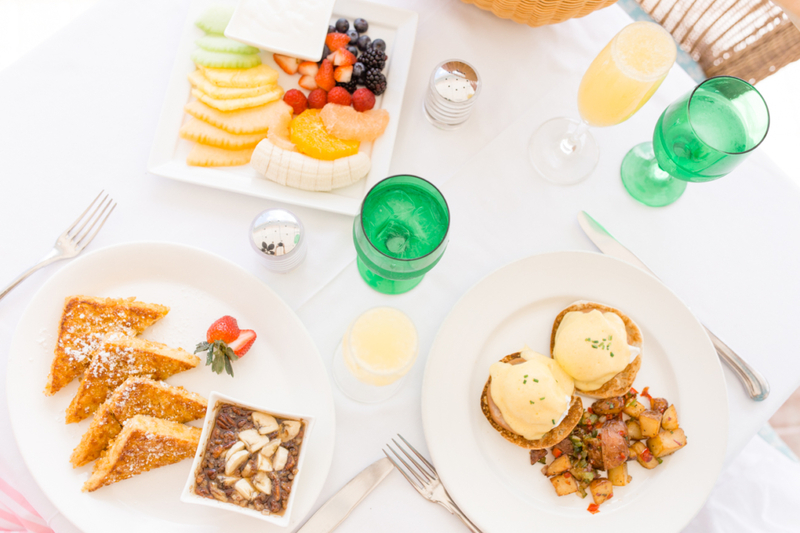 After a good night’s sleep in your dreamy bed, let’s start the day with a sunny breakfast! Polo – The poolside terrace at The Colony’s Polo makes for the perfect Palm Beach setting. 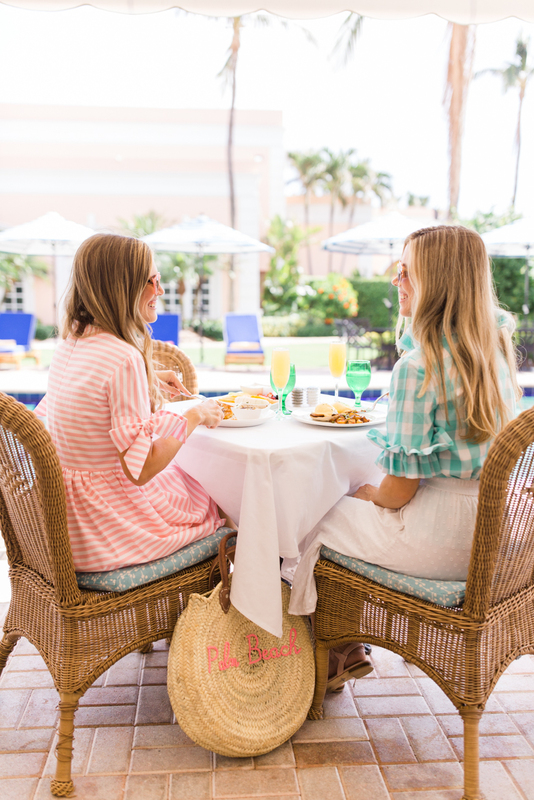 Grab a seat in a wicker chair, gaze at the cabana striped umbrellas by the pool and savor something tasty from their menu while you plan your day! Biking – The Palm Beach Bicycle Trail Shop has a brand new location in The Royal Poinciana Plaza! We have enjoyed renting bikes from them to ride on the Lake Trail for years. 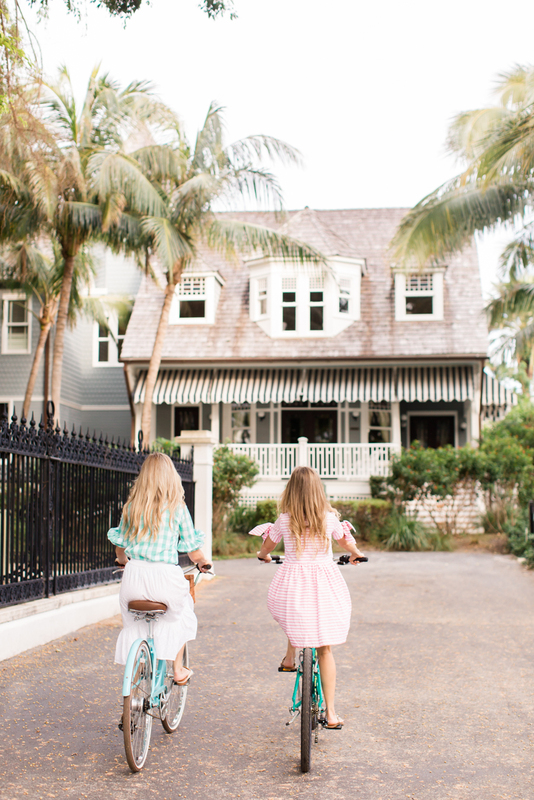 Tip: Take the Lake Trail south past the Flagler Museum or north up to the inlet and back, passing lots of Palm Beach homes that make one-of-a-kind eye candy! 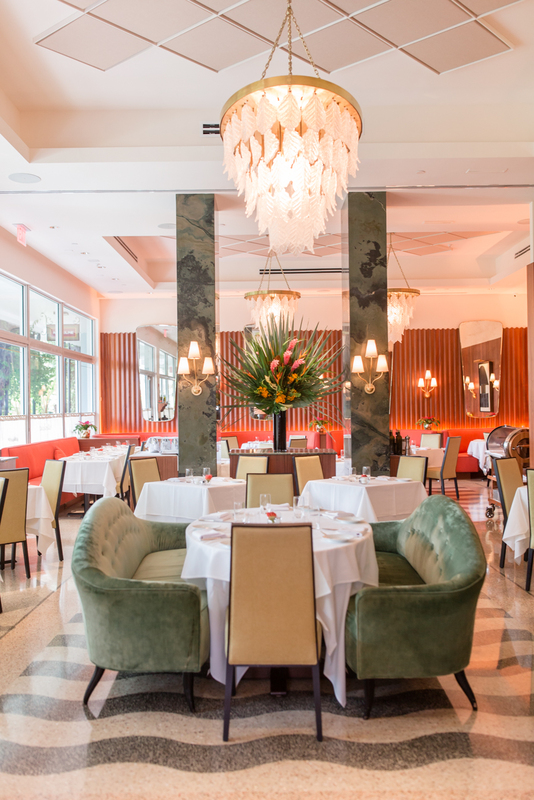 Sant Ambroeus – The perfect blend of fine and casual dining, Sant Ambroeus was one of the first spots to debut in the newly-designed Royal Poinciana Plaza. 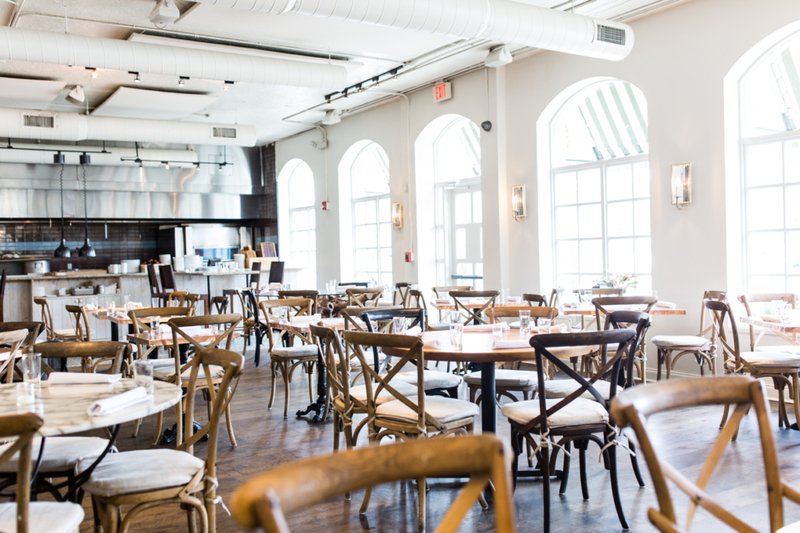 We love how they glamorously blend Italian and Floridian influences, both in their menu and design! 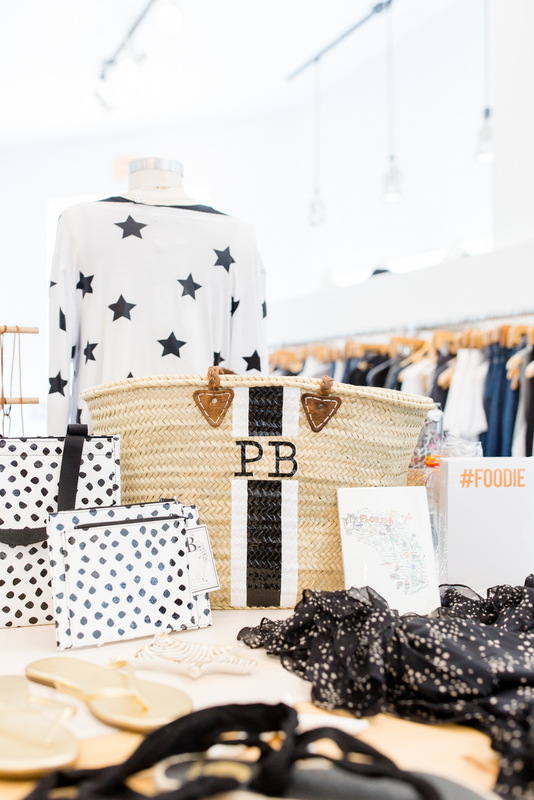 While you are at The Royal Poinciana Plaza <also known as “The Royal”>, there are so many fabulous new shops to check out! Some of our favorites include Assouline, Celis Produce, Cynthia Rowley, Kirna Zabête and St. Frank. Coming soon: Hermes, Saint Laurent, and Theory! 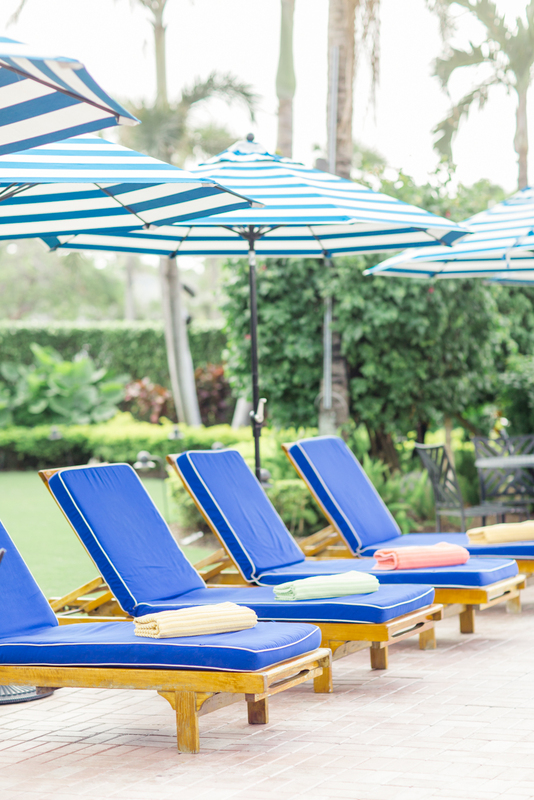 After riding bikes and shopping, take some time to enjoy the pool and/or beach at your hotel. Soaking up the sunshine and ocean are two of our very favorite things to do here! Once you freshen up after playing in the salty air, it’s time for one last dinner on the island! Buccan – Buccan has been our go-to restaurant for many years. 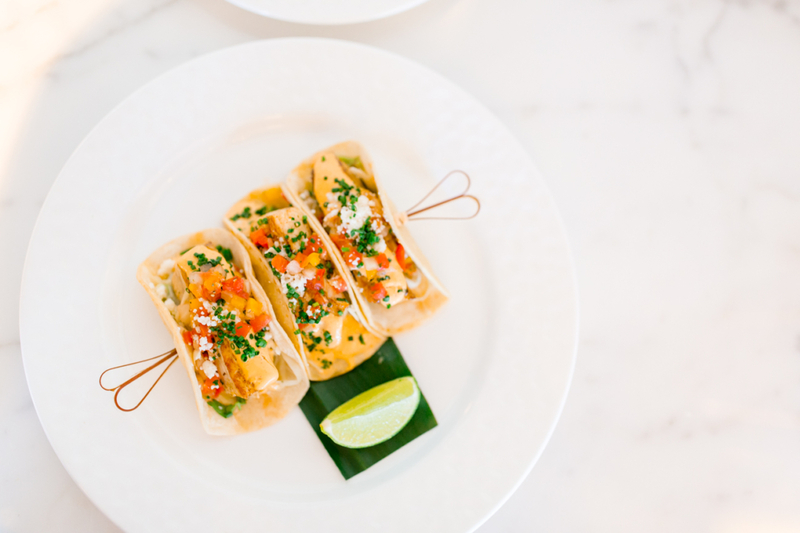 We love that Chef Clay Conley rotates the menu of small plates with the freshest ingredients and lots of flavor. Tip: They have two great sister-spots, Imoto and The Sandwich Shop, located right next door! It’s your last morning here, but we still have a couple island must-dos before you go! SurfSide Diner – For a laid back breakfast, grab a seat at SurfSide Diner. This quaint spot offers a full selection of classic diner foods, seaside decor and comfy booths or stools. Culture – If you have some time left to do a bit more exploring before you go, you have to check out the Flagler Museum or The Society of the Four Arts. 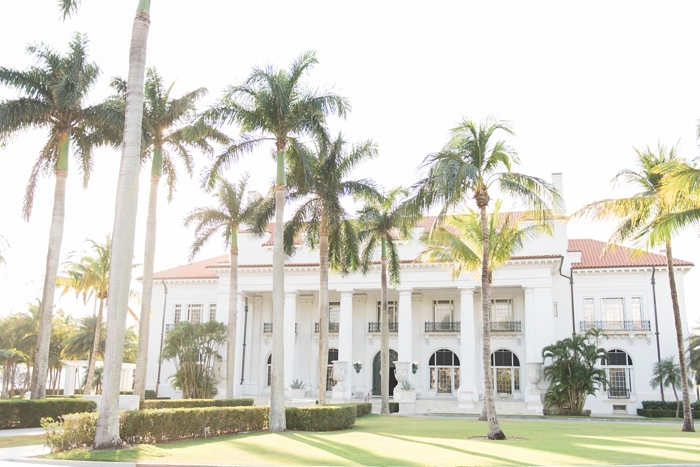 The Flagler Museum was Henry Flagler’s Gilded Age estate that dates back to 1902, and visitors can enjoy a walking tour and an afternoon tea in the Cafe des Beaux-Arts. 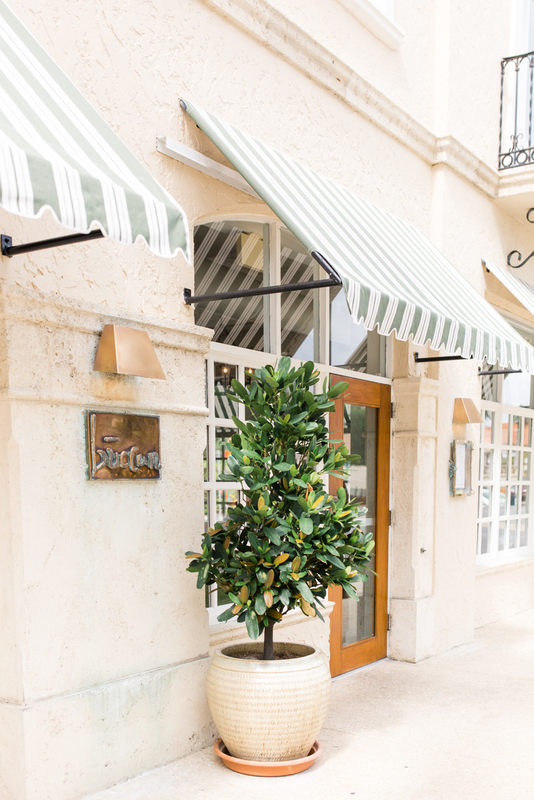 The Society of the Four Arts was founded in 1936 to offer quality cultural programming to the growing resort community of Palm Beach. They have several impressive buildings and libraries – you can check out which ones are open and when here! 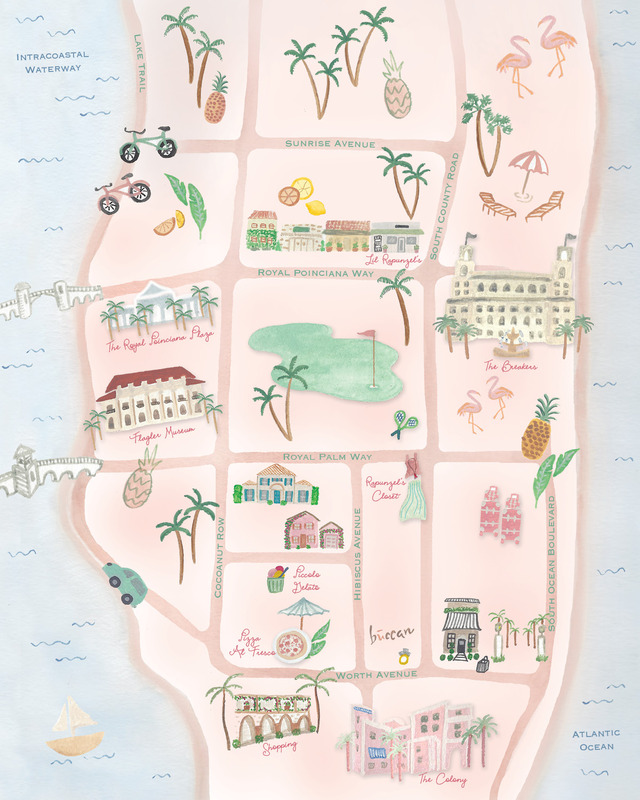 *thank you to the sponsors who helped us make our guide to palm beach come to life!